The project is formally linked to the International Open Government Partnership, where governments and civil society have been given an equal say in the commitments made by 70 countries to be more open. It will use open government commitments to help people secure progress towards the Sustainable Development Goals (SDGs). Grassroots Democracy Games & the UN Sustainable Development Goals – NI Special Schools having some serious fun! Graham Long, Senior Lecturer in Politics at Newcastle University discusses the UK implementation process for the UN Sustainable Development Goals and the role of citizen participation. See Graham’s co-authored report on the 2030 Agenda here. The presentation slides from this event are available here. A key aspect of achieving sustainable development is education and this is specifically mapped out in SDG 4.7 which states that by 2030 we should “ensure that all learners acquire the knowledge and skills needed to promote sustainable development and sustainable lifestyles”. Achieving this ambitious target will require concerted action by all sectors of education committed to sustainability and this seminar aims to initiate that discussion at a local level. This event invited representatives from education sectors with an active interest and involvement in achieving SDG 4.7 to debate how we can best work together to enhance global citizenship and positive social change. 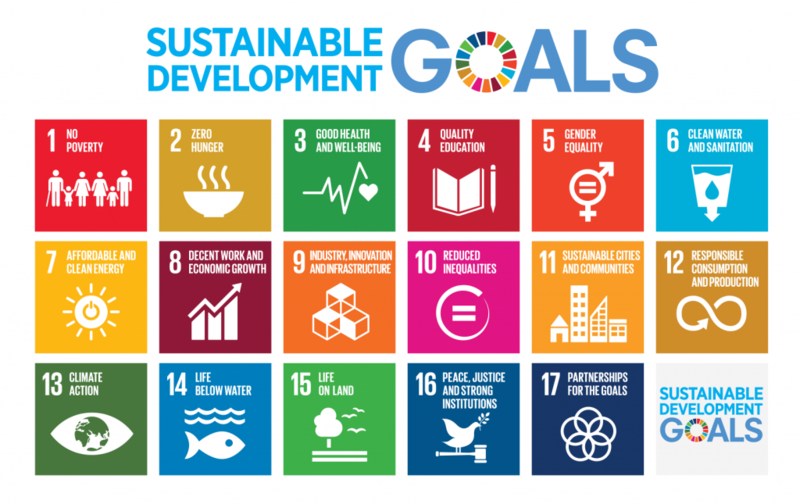 Craig Matasick from the Organisation for Economic Co-operation and Development (OECD) delivers a comprehensive and insightful webinar on the instrumental value of Open Government principles in implementing the Sustainable Development Goals. Róbert is the CEO of the Citizens Foundation in Iceland. The Citizens Foundation mission is to bring people together to debate and prioritize innovative ideas to improve their communities. They believe that without participation there is no democracy. And their main goal is to help citizens get their voices heard and to encourage citizen participation in governance. Their ideas about new ways to connect people to participate in democracy, politics and civic life were born after Iceland’s economic and trust collapse in 2008. Since then they’ve developed open source tools and methods to promote online, democratic debate and to increase citizens’ participation in Iceland and worldwide.